A Supreme Court Bench comprising of Justice Vikramajit Sen and Justice Shiva Kirti Singh dismissed Jayalalitha’s plea seeking a stay on trial in the disproportionate assets case, until a Bangalore Court decides on the ownership of immovable property claimed to be hers. 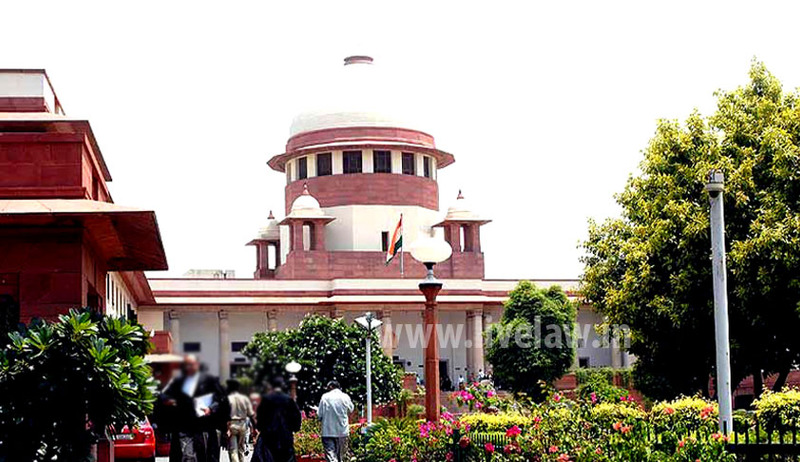 Tamil Nadu Vigilance and Anti-Corruption Department had also opposed the plea, reportedly stating that “since the petition for attachment (before the special court, Bangalore) is being withdrawn, the Special leave petition (by Jayalalithaa and others) will now become infructuous”. The plea was termed as a device to delay the proceedings. The bench recalled an earlier order by a bench of Justice B.S. Chauhan and Justice A.K. Sikri in May, which had stayed the criminal proceedings against the All India Anna Dravida Munnetra Kazhagam (AIADMK) leader in the case against her, involving Rs. 66.65-crore with respect to the period of 1991-1996 during which she held office. The trial was in progress, in a Bangalore Court. However, the civil proceedings were permitted to continue and were not affected by the stay. The civil proceedings relate to claim Lex Property Developer P. Ltd. on the assets allegedly publicized to be ‘benami (proxy)’ possessions of Jayalalithaa. The Company had been allowed to cross-examine the witnesses. This case has been successfully delayed for 17 years now, filing several petitions making numerous demands. An application was earlier filed in the trial court under Section 309 CrPC to postpone the arguments in the main case, considering the Madras High Court direction for disposal of the attachment applications before advancing to hear the arguments in the main case. It was submitted that if the arguments were allowed to proceed, they would have to account for certain properties which were wrongly included in the assets of the accused. After this application was rejected, the accused approached the Karnataka High Court, seeking stay of the trial. After failure in this appeal as well, the present appeal was filed. To realize the goal of a free and fair trial, the case was transferred from Chennai to Bangalore in 2003 during Jayalalithaa’s previous tenure as Chief Minister. These corruption cases were filed against Jayalalitha by the former DMK government led by M. Karunanidhi. She was acquitted in all the other six corruption cases; however the Disproportionate assets case is hanging like a sword of Damocles over her head. Three other accussed in the case are Sasikala, Ilavarasi and V N Sudhakaran. The case has been listed for June 6. Read more news about the Disproportionate Assets case, here.